Create an owl by artfully arranging cheese slice cut outs. 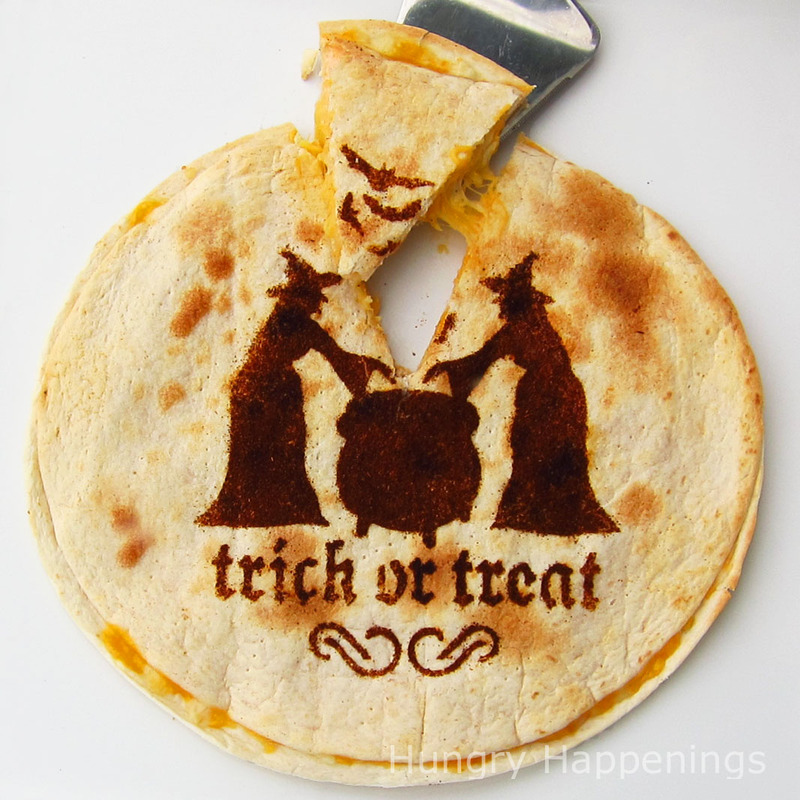 Remember the Twilight Quesadilla recipe from last Halloween? 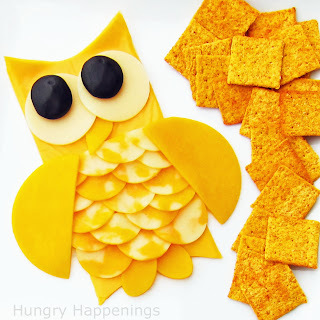 well I thought I'd make another version of the recipe without any food coloring. My new Halloween quesadillas use chili powder. Want to try your hand at making your own chocolate cansiters filled with pretzels for Halloween? I posted a step-by-step tutorial to show you how. I'm working on a post featuring our carnival games from last year. Hope to have it posted here very soon. If you haven't already, be sure to enter my Halloween giveaway. 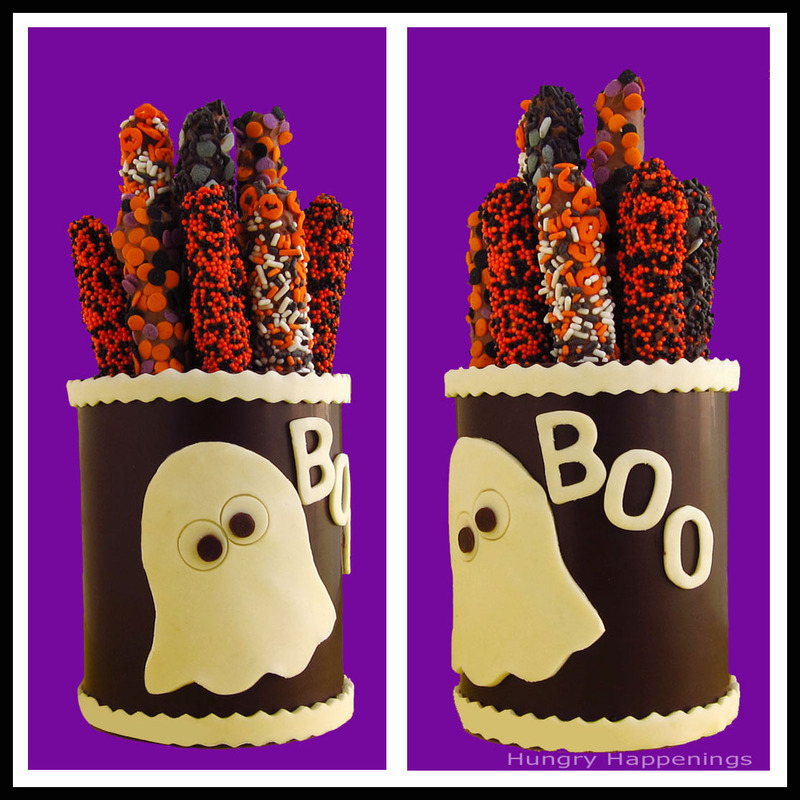 Click here to enter for your chance to win a chocolate canister filled with chocolate dipped pretzels all decorated for Halloween.